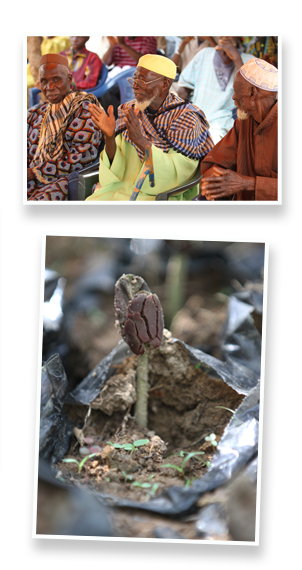 Established as a sustainability partnership in 2004, Blommer and the global supply chain manager Olam formalized their commercial link with GrowCocoa in 2012. The joint venture was established to solidify the long-term commitment and investment in the cocoa supply chain, improve the livelihoods of cocoa communities, and develop strategic partnerships with governments, national institutions, NGOs and funding agencies. 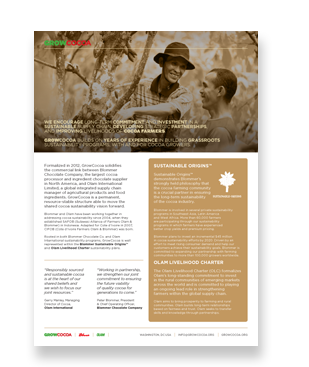 Under the GrowCocoa partnership, Blommer and Olam support sustainability programs inclusive of initiatives in Indonesia and Côte d’Ivoire. In Indonesia, the program provides farmer training, pricing incentives and global market access to farmers. Since its inception in 2004 the program has grown more than ten-fold. Participating farmers report production increases of at least 30 percent and are rewarded with price premiums for consistent quality and their traceable products. 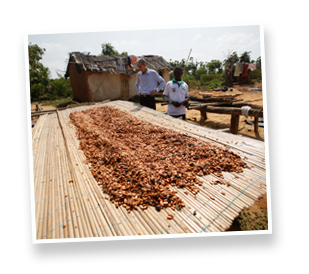 Based on our experience in Indonesia, Blommer and Olam launched GrowCocoa Côte d’Ivoire in 2007. The program partners with more than 30,000 cocoa farmers throughout the country, providing training in good agricultural practices, business management and social issues. Working together with these farmers, the partners assist in revitalizing struggling cocoa farms leading to improved yields and thus household income. 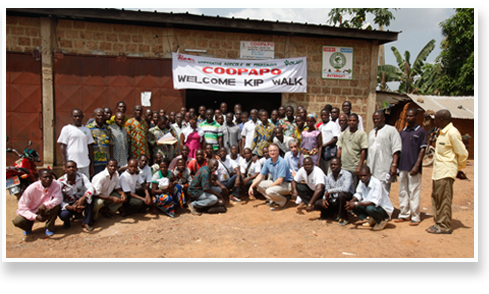 Today 90 Cooperatives collaborate with Blommer in the GrowCocoa Côte d’Ivoire program and supply more than 40,000 Metric Tons of sustainable and traceable cocoa. The program also contributes to the construction of community infrastructure or its improvement including the building of schools, medical facilities, maternity wards and the likes.